Thanks so much for all of your help during this busy time! We’re still seeing lots of “countless Cassin’s” surveys these last two weeks – from the Beached Bird Patterns section of the COASST website, Cassin’s Auklets rose from #11 to #3 in the last two months. 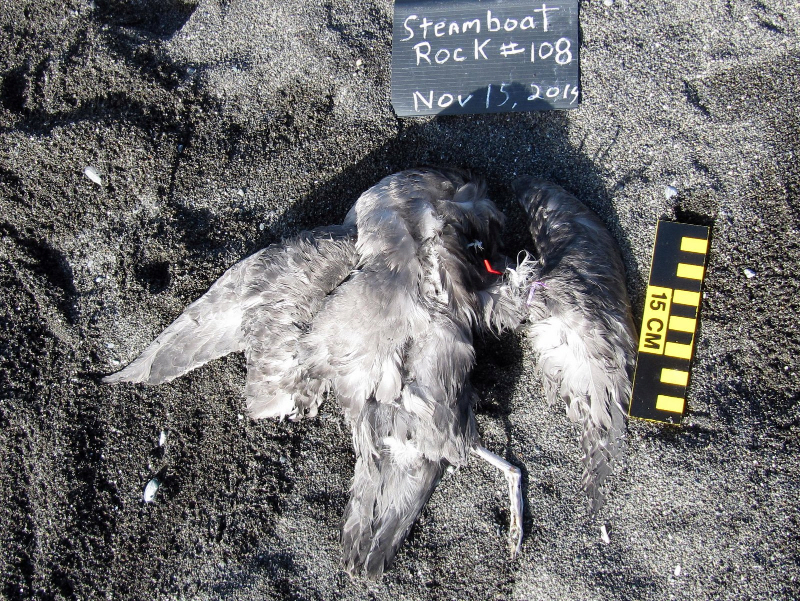 This die-off continues to generate widespread media attention, including a recent article in National Geographic online. For more information on Avian Influenza findings in the Pacific Flyway, see the USDA site. American Crow (PE2) – black plumage – nope. Parasitic Jaeger (LA25) – tarsus outside the range for this species – nope. Pomarine Jaeger (LA27) – wing chord outside the range for this species – nope. Only one of these has a pale bill – Ancient Murrelet! We’re seeing a few rare Alcids (Ancient Murrelet, Marbled Murrelet) mixed in with the Cassin’s Auklets. Remember: by about November, Common Murres have reached their full adult size, so in January there aren’t any juvenile Common Murres left – they’re all teenagers by now! Sandy found this large piece of debris during her January bird survey at Port William Beach (WA) and noting that it was near a boat ramp, joked that it may be a failed boat launch. 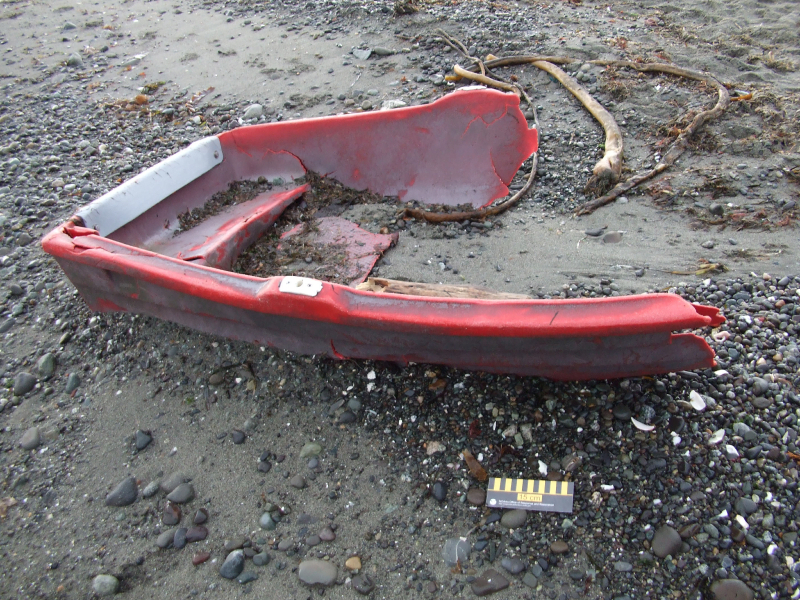 For those of you in the Puget Sound, large debris items, creosote covered logs, and derelict vessels found can be reported to the WA DNR debris removal program. The rely on reports to prioritize removal actions and can be reached at 360-854-2808. Marine debris intern Abby is working on a project using COASSTer marine debris photos. Her interest was piqued by this image taken by Sally at Wa-atch Beach (WA) in 2012. After some sleuthing, we discovered that they are competition throwing knives made by United Cutlery. 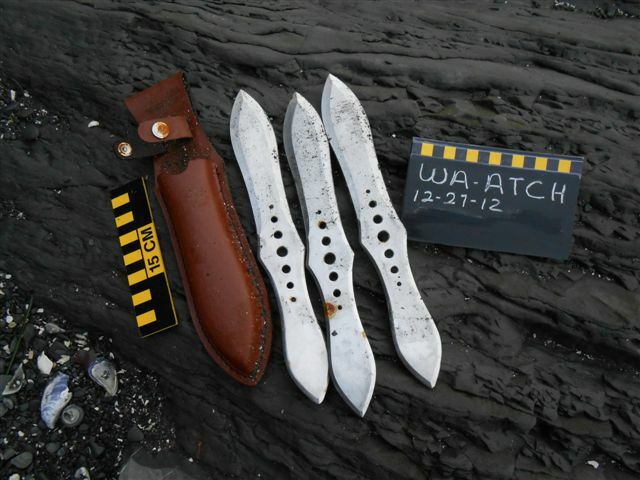 They’ve made our list of “one of a kind” beach finds. 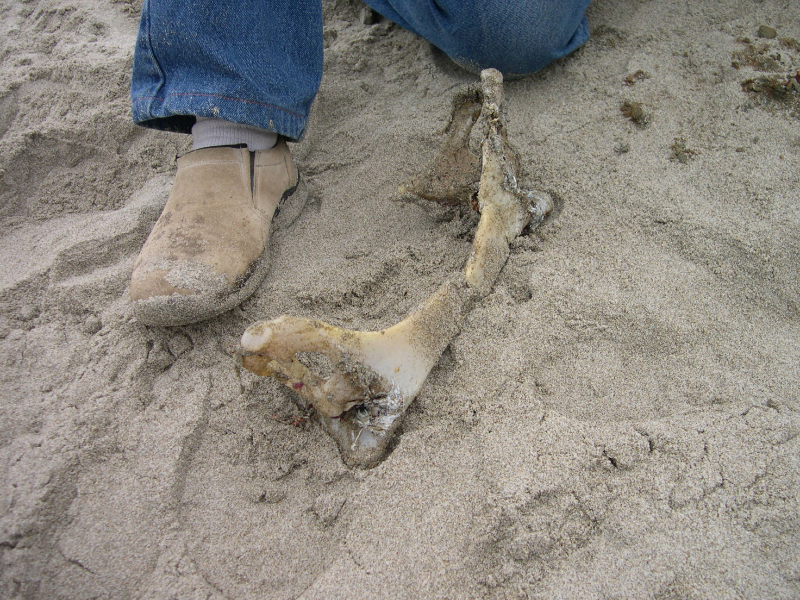 Linda and Bill found this interesting piece of cartilage at Virgin Creek (CA) a few months ago. Although we aren’t sure what species it is from, according to Mike Etnier at the Burke Museum, it appears to be the pectoral girdle of a large cartilaginous fish – perhaps a shark or a large skate. Since cartilaginous fish don’t have swim bladders to help maintain their buoyancy in the water, they are constantly moving, even when they are sleeping. Have you seen something on your beach you’ve always wondered about? Send us a photo! 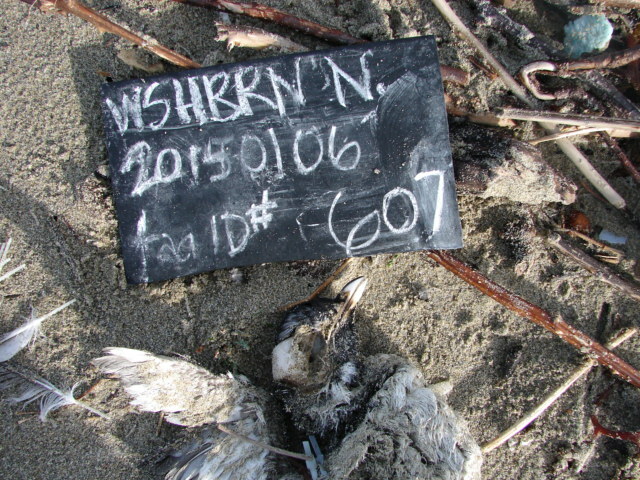 This entry was posted in Uncategorized and tagged Marine Debris, National Geographic, send us a photo, USDA site on 28. January 2015 by coasst.